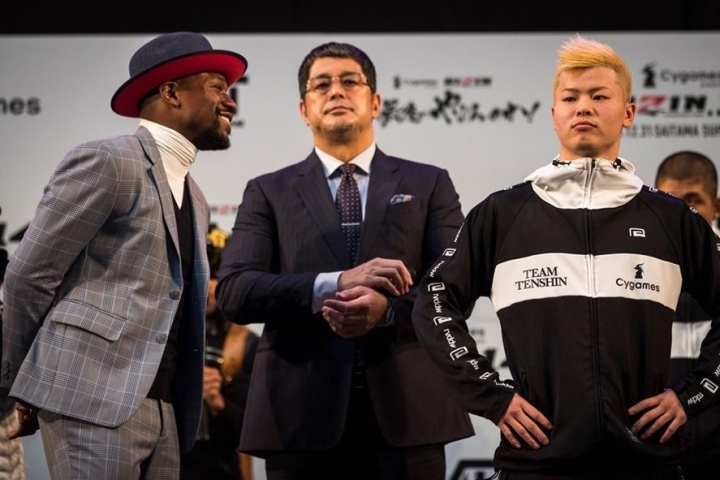 Floyd “Money” Mayweather said Saturday his focus was on entertaining the fans during his New Year’s Eve fight with Japanese kickboxing prodigy Tenshin Nasukawa near Tokyo. 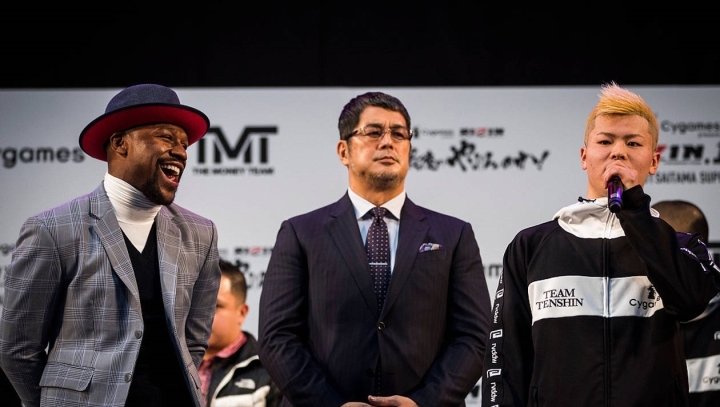 The 41-year-old unbeaten champion has been tempted out of retirement — again — for a one-off “exhibition” in Saitama, north of Tokyo, against “Ninja Boy” Nasukawa, a fighter more than half his age at 20. The exhibition will not have an official winner or loser if it goes the distance, meaning both men can keep their treasured unbeaten records in the absence of a knockout. Mayweather has also said there will be no official judges and the bout will not count on the official record of either athlete. However, the relaxed American said he would not even be concerned if he were to be floored by his Japanese opponent. 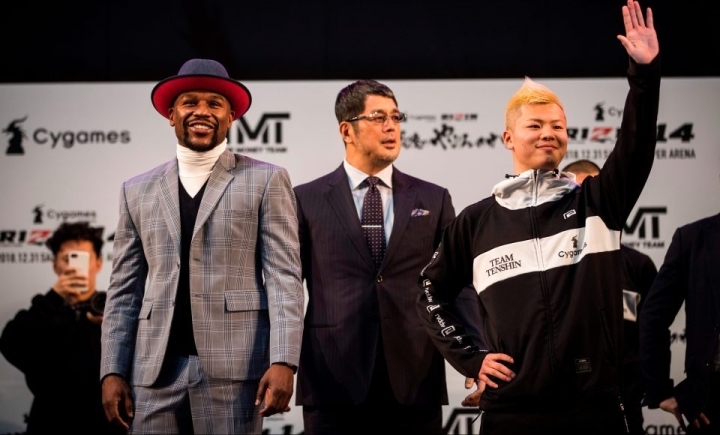 For his part, Nasukawa said he did not feel the rules of the bout were “unfair,” even though he will be deprived of his kicking skills. 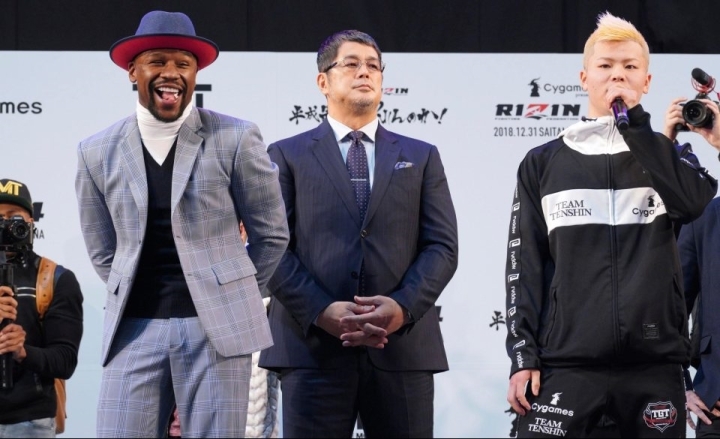 The fight was first announced in early November but Mayweather then abruptly called it off following what was later described as a “misunderstanding” over the rules of the fight, according to mixed martial arts promoter RIZIN. 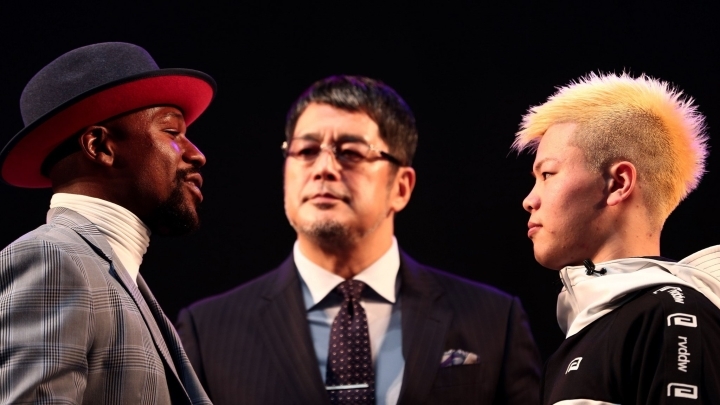 RIZIN boss Nobuyuki Sakakibara flew to Los Angeles for talks with the American boxer and won him round, finally agreeing the terms for the three-round contest. Are We Already Building to Terence Crawford-Jose Ramirez?